Solution for Calculator The Game Level 196 197 198 Walkthrough – solve the puzzle number and find the goal with number of moves you can make ! press buttons so the total equals the goal and win ! This entry was posted in calculator the game on July 30, 2017 by 100doorssolution. Solution for Calculator The Game Level 191 192 193 194 195 Walkthrough – solve the puzzle number and find the goal with number of moves you can make ! press buttons so the total equals the goal and win ! This entry was posted in calculator the game on July 29, 2017 by 100doorssolution. Solution for Calculator The Game Level 186 187 188 189 190 Walkthrough – solve the puzzle number and find the goal with number of moves you can make ! press buttons so the total equals the goal and win ! 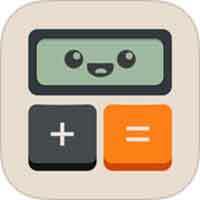 This entry was posted in calculator the game on July 28, 2017 by 100doorssolution. Solution for Calculator The Game Level 181 182 183 184 185 Walkthrough – solve the puzzle number and find the goal with number of moves you can make ! press buttons so the total equals the goal and win ! This entry was posted in calculator the game on July 27, 2017 by 100doorssolution. Solution for Calculator The Game Level 176 177 178 179 180 Walkthrough – solve the puzzle number and find the goal with number of moves you can make ! press buttons so the total equals the goal and win ! This entry was posted in calculator the game on July 26, 2017 by 100doorssolution. Solution for Calculator The Game Level 171 172 173 174 175 Walkthrough – solve the puzzle number and find the goal with number of moves you can make ! press buttons so the total equals the goal and win ! Solution for Calculator The Game Level 166 167 168 169 170 Walkthrough – solve the puzzle number and find the goal with number of moves you can make ! press buttons so the total equals the goal and win ! This entry was posted in calculator the game on July 25, 2017 by 100doorssolution. Solution for Calculator The Game Level 161 162 163 164 165 Walkthrough – solve the puzzle number and find the goal with number of moves you can make ! press buttons so the total equals the goal and win ! Solution for Calculator The Game Level 156 157 158 159 160 Walkthrough – solve the puzzle number and find the goal with number of moves you can make ! press buttons so the total equals the goal and win ! This entry was posted in calculator the game on July 24, 2017 by 100doorssolution. Solution for Calculator The Game Level 151 152 153 154 155 Walkthrough – solve the puzzle number and find the goal with number of moves you can make ! press buttons so the total equals the goal and win !